I am glad to announce this tomato seeds give away on my blog. Sherilou is a generous gardener from New south mexico, USA. And i received freshly harvested heirloom tomato seeds from the mountains of Zuni courtesy to Sherilou. I also got some other cultivars of tomato which are extra. So Any one who is interested in these seeds, just reply in this thread and send me your address at muhammad dot khabbab at gmail dot com and i will send the seeds. I will send seeds wrapped in bubble wrap to those who are overseas. For overseas gardeners, i will send through airmail but may not be able to send first class. Remember, maximum 2 packets per person. And one packet of seeds will contain around 10 seeds. This offer is only for amateur gardeners !!!!. I will add more tomato seeds in coming few days. These are some tough heirloom tomatoes. Very heat tolerant. Indeterminate type. wow, i’d love some here in Australia! yummy tomato’s ! would love some !
! would like to have them. I have never grown tomatoes from seed, but would love to try!! i would luv to grow some. 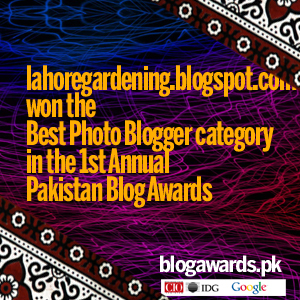 i am very glad i found ur site i am also from Lahore and just found out my love for gardening. Hope to see u in person and get some good advice. My address is APNA CNG 23 Cooper Road Lahore. Amateur gardening here. Just move back to Lahore – can you advise me about the excessive heating drying up my poor tomato and pepper plants. I have no space so experimenting with growing in clay pots – had success in US – but mixed results in Lahore. Also would love some new seeds to try – although it may be late in the season to plant ? H. 417, st 96, Sector G-9/4, Islamabad. I know nothing of gardening but i want to grow tomatoes, chillies and some vegitables that are available most of the season. my address is homse 1088, street 95, I-10/1 islamabad. If its too late than let me know. I appreciate your efforts to help the new gardeners. Best wishes. Can i still get free seeds.? I am amateur in gardening and I want to grow tomatoes in my backyard. So can you please send me some indeterminate tomatoes seeds. Talha, i will update you when i get more free seeds, right now, i am out of seeds. Thanks. Could you please be so generous to send me 2 packs of seeds at my address in Lahore? Will be so oblige. I am afraid all free seeds are out of stock now. I hope to get more seeds in a couple of months or so.